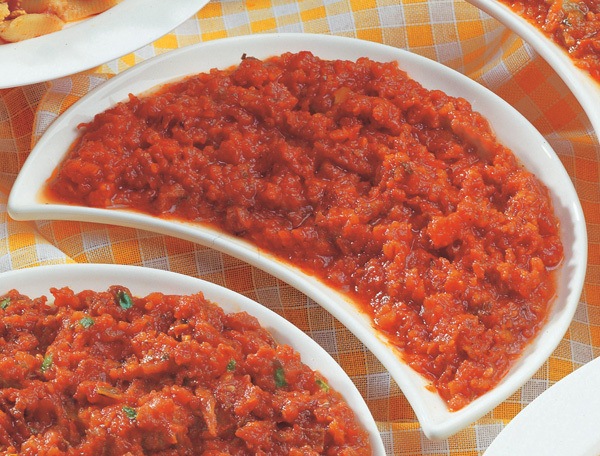 Arrabbiata (the Italian word for angry) is a Roman sauce of garlic, tomatoes, and red chili cooked in olive oil. Basil is sometimes used, although the majority of chefs in Italy do not use basil for this recipe. The dish is usually served with pasta and chopped fresh parsley sprinkled on top.